She was very pretty and elegant and somebody knows the name of this big tiara/ parure ? Is still in the family? We have a very good chocolate specialty shop here in Pittsburgh and they are the only ones to carry Wilhelmina mints, which I buy when I'm in the shop, but they're always out - apparently Pittsburghers like Wilhelmina mints! 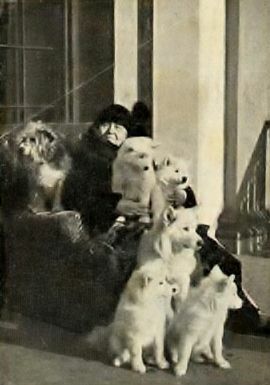 Do you know of any good English language biographies of Wilhelmina besides her autobiography? My quick research shows a Dutch language biography by Cees Fasseur published in 1998, but I don't think there's an English translation available. No, I sure don't, but I'd greatly be interested if anyone finds one. 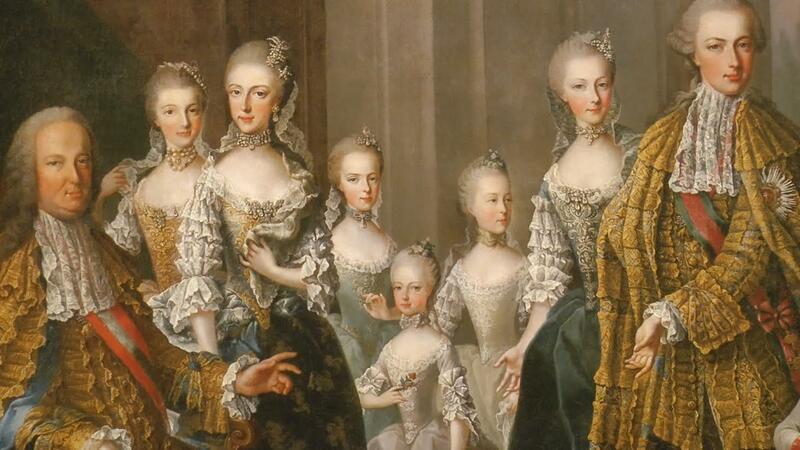 I have found detailed information about the parure on the Dutch language website: http://www.modekoninginma...an-de-koninklijke-familie. See below for translated information and images. 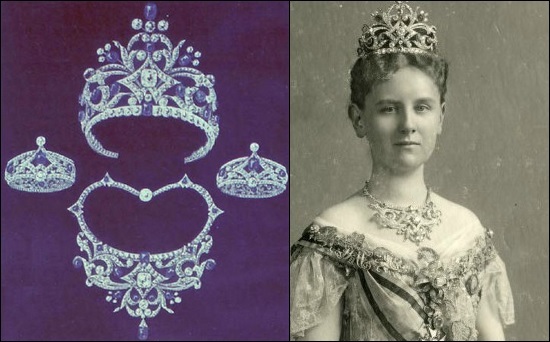 Wilhelmina got this set/parure with sapphires for her wedding in 1901 from the Dutch population and contained, besides an impressive diadem also a necklace and two bracelets with brilliant sapphires. 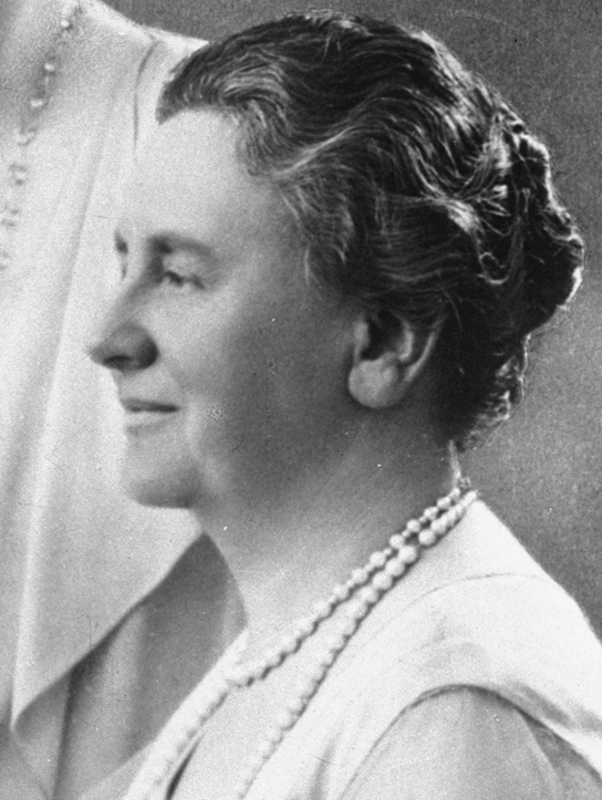 Queen Wilhelmina posed several times with the parure, but at gala dinners and state visits, they were rarely or not seen it. Whatever the reason behind this, we unfortunately do not know for sure, but the presumption is that the tiara and necklace were too heavy and impractical. 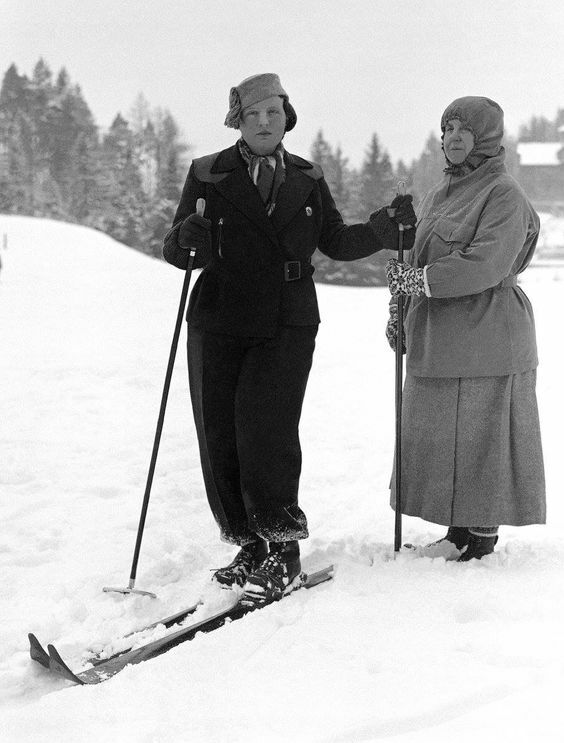 In 1962, the year that Queen Wilhelmina died, Queen Juliana decided to break up and distribute the parure under her four daughters, who had got a nice memory of their grandmother Wilhelmina. 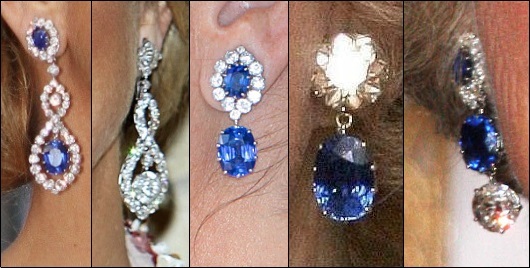 All four princesses (Beatrix, Irene, Margriet and Christina) got anyway earrings as a gift, but because of the fact that no official information has come out, it is unknown what exactly comes from the set and what is not. However, the Dutch Royal Jewels website used a lot of detective work to figure out which jewelry at least be made of the impressive diadem. 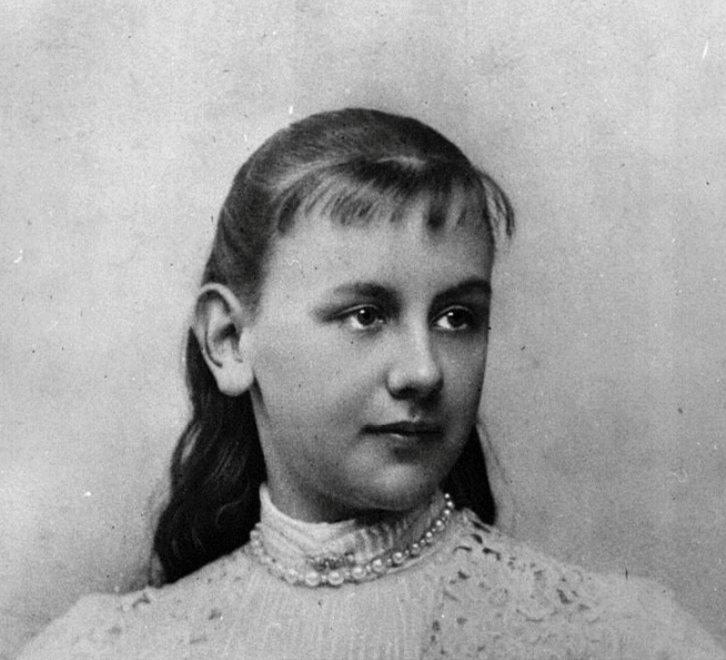 The pair of earrings that Beatrix received was and is frequently seen with a design jeweler Bode and Bode, which delivered a pair of earrings which can be worn in many different ways. 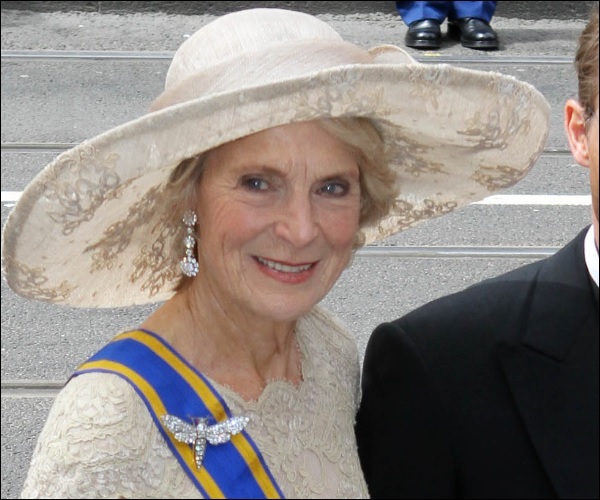 Princess Irene got a pair of earrings that closely resembles the earrings of Beatrix. 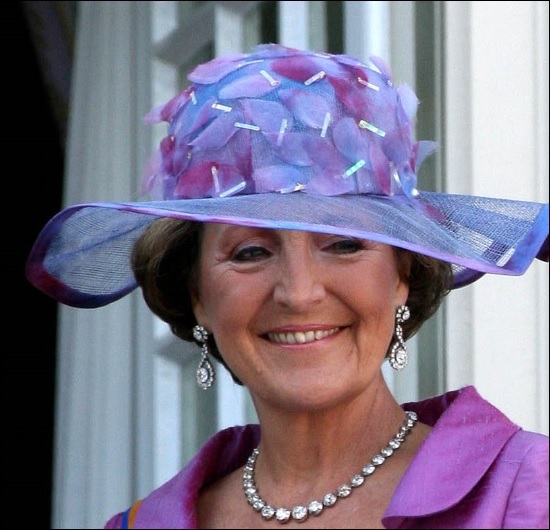 Princess Margriet also got similar earrings. 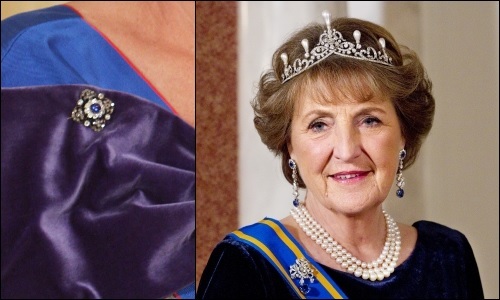 The difference with the earrings of Beatrix is primarily in the bottom of the earrings, which terminate around at Princess Margriets earrings and Beatrixs earrings at one point. In addition, the princess is regularly seen with two small diamond brooch with a sapphire. Never officially confirmed that these jewels are made of sapphire parure, but given the design and shape of the stones is the opportunity present. 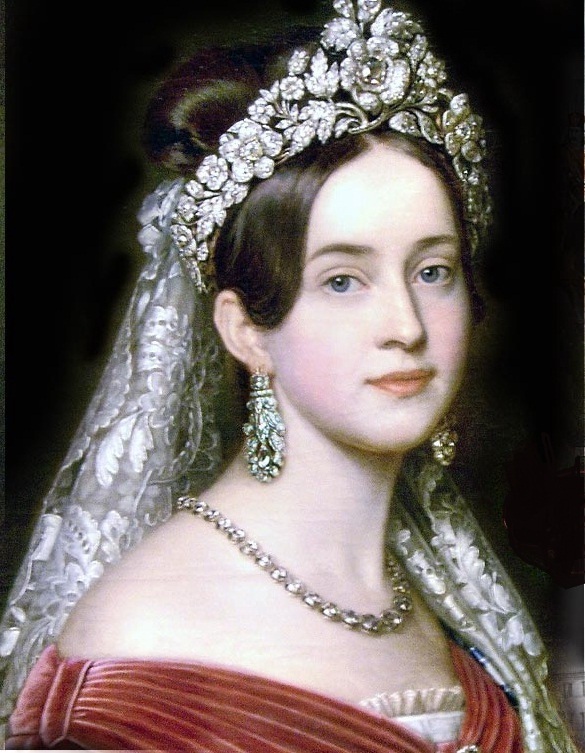 It is unknown to me which part princess Christina received from the sapphire parure. 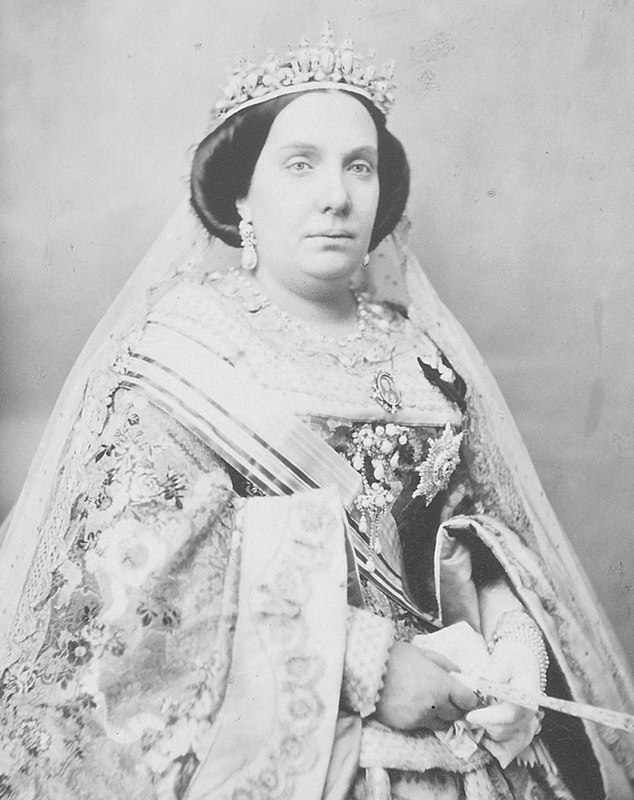 It is expected not all the stones of the tiara and necklace have been (re)used. Chances are that we in the coming years for example, still going to see new jewelry with sapphires or it turns out that the impressive necklace for example, still has been spared during disassembly. 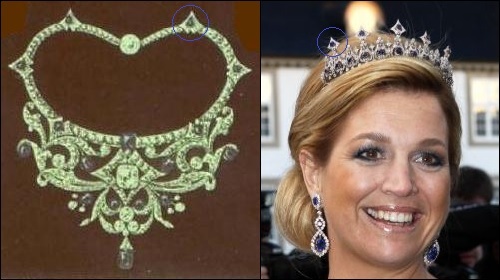 The only recognizable from the necklace what we have seen so far are the five sapphires that Maxima and Margriet left attach on the small sapphire tiara. What at least is certain, is the destination of the special bracelets of this parure. 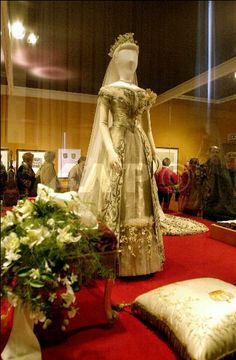 They in fact remained intact and are still widely worn by the royal family. 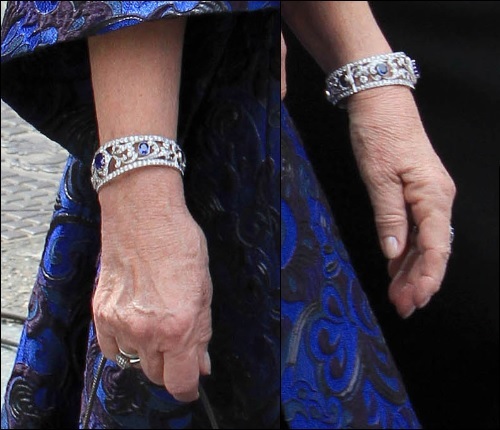 We saw Beatrix with the bracelet in slightly modified version during the inauguration of King Willem-Alexander and M?xima wore the armbands during the grateful/ thank you party for Princess Beatrix. Fortunately the Dutch language website (see link above) went in detail about the parure and its fate. This haircomb was apparently a gift of Wilhelmina's husband Hendrik. Some interesting Dutch language sites provide detailed and fine information. 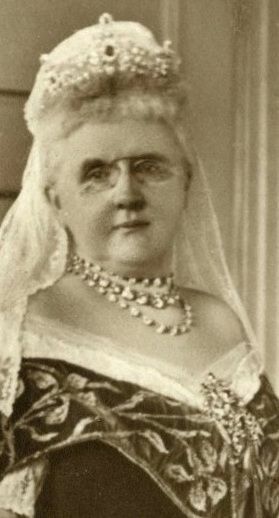 Later the pearls were also worn by her daughter Queen Juliana. what was it with those caps w/attached veils that older monarchs wore. I see it in old photos. Was it the fashion at that time? Did they wear it out of modesty...is it a medieval vestige....convering their heads? 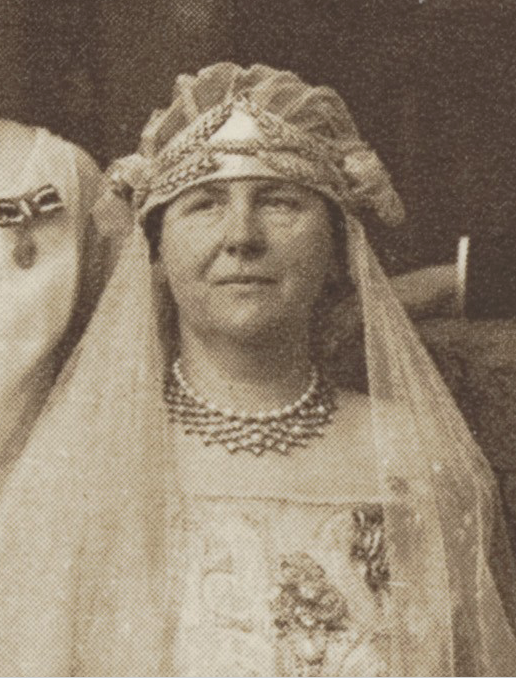 I think the cap, with or without veil, that Queen Wilhelmina is pictured wearing was fashionable. There are lots of those low on the brow caps and tiaras and headdresses around in photos from the 1920's. Cloche hats of the period didn't show the forehead either. 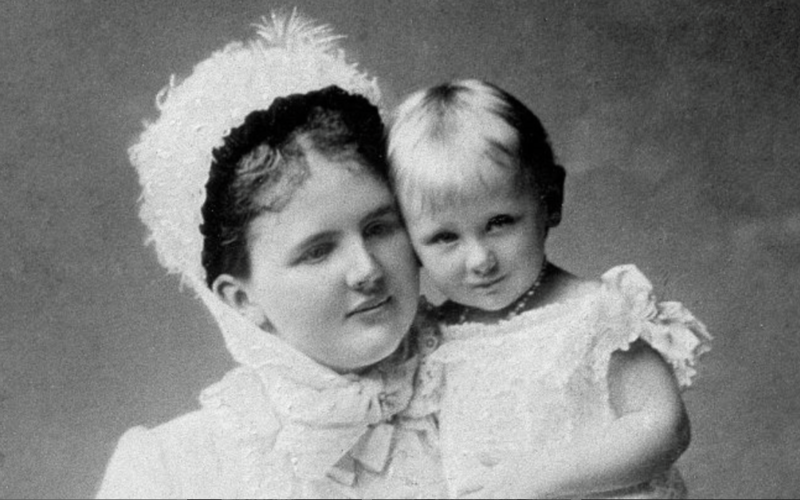 Queen Wilhelmina's just attached a veil to it. 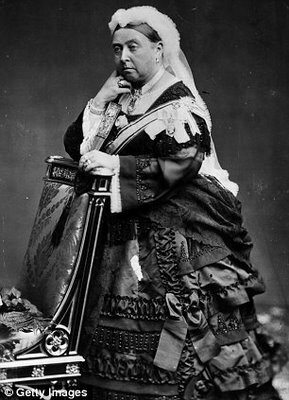 The caps that Queen Victoria and Queen Emma are wearing are widow's caps. Vic put one on called a Mary Stuart because it had a peak at the front, as soon as Albert died, and was never seen without her widow's cap afterwards. I believe the other veils and headdresses featured are just fashion items. Women just didn't go about bare-headed in those days, except for the very poor. 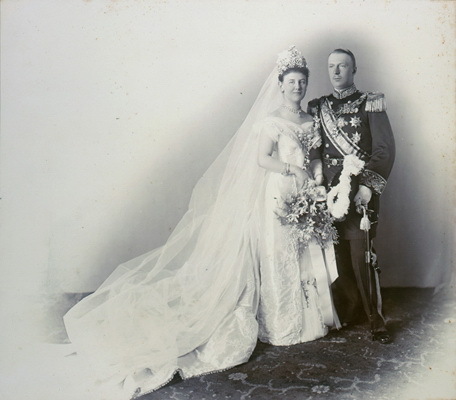 Hats, caps, bonnets, and headdresses of flowers etc at balls were worn, and that went double for royals who were painted or photographed. 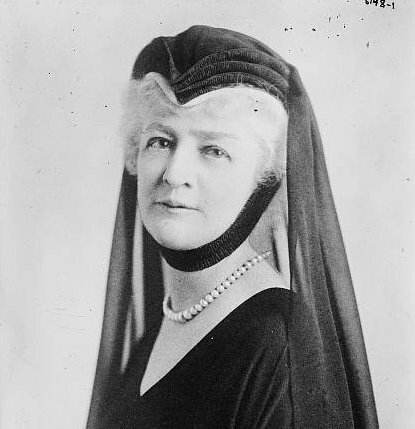 If women wore widows caps (black at first, then white) there was always a veil attached. Are the colours in widow caps (black at first, then white) determined or distinguised by the length of time of mourning. Like the first year of mourning after death = black; and afterwards = white? 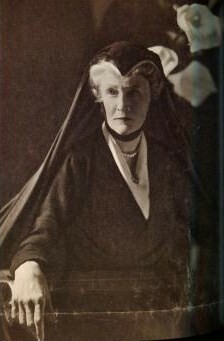 I think it was usual for widows in the 19th century to wear the Mary Stuart black cap with peak for the first two years after the spouse died and then a more ruffled one in white tulle if they continued mourning. Widows caps always had streamers. 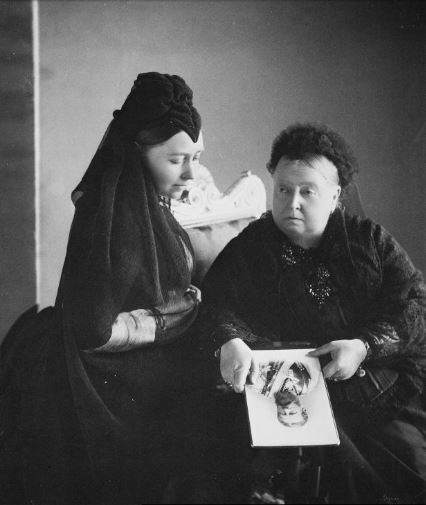 Of course Vic took it all to extremes and put the Court in mourning for three years, and wore mourning clothes for the rest of her life. 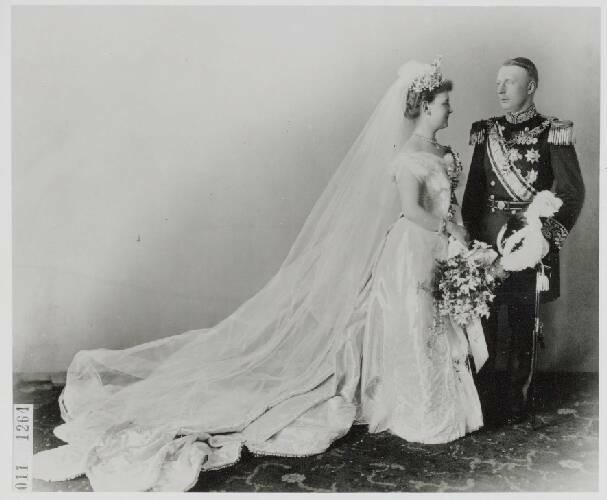 She did go so far as to wear her wedding veil flounced over her skirts with a few diamonds sprinkled over it in old age on special occasions, but always black clothing.